Fancy coming mid-week? We offer “3 nights for the price of 2”, or 3 people stay for the price of 2 (cheapest stays free) mid-week during term time on request (excluding Friday and Saturday nights). 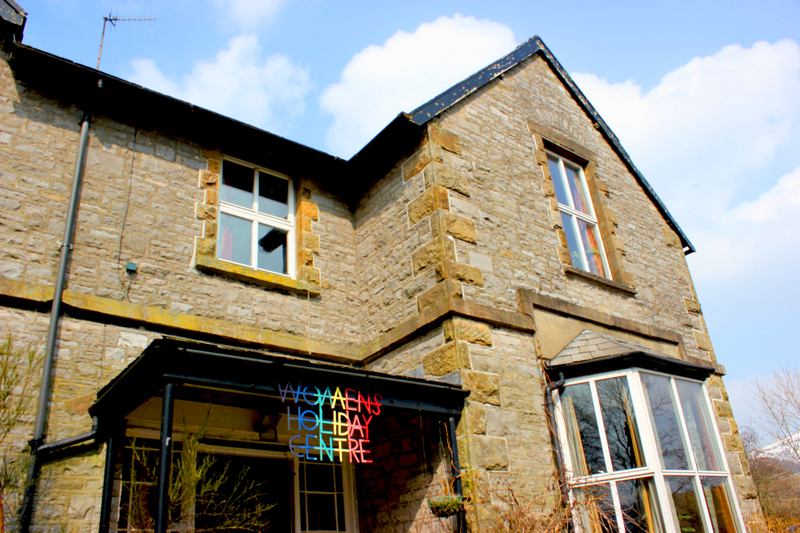 The Women’s Holiday Centre is based in the quaint Yorkshire village Horton-in-Ribblesdale, and is the only collective, not for profit, co-operatively run holiday centre for women and children in the UK. The holiday centre was set up in 1980 as a charitable co-operative, by women involved in feminism and the women’s liberation movement. Since then, this volunteer-run women’s co-op has been making a difference to the lives of thousands of women and children from all over the country, by providing affordable holidays with a sliding scale for payments according to income. We aim to keep the lowest charge for one night, including food, at the daily rate of benefit entitlement. Other low-cost holiday options, such as renting a caravan or camping, can leave a woman feeling more isolated and vulnerable than she does at home, as there are many practical tasks to manage in a smaller space. 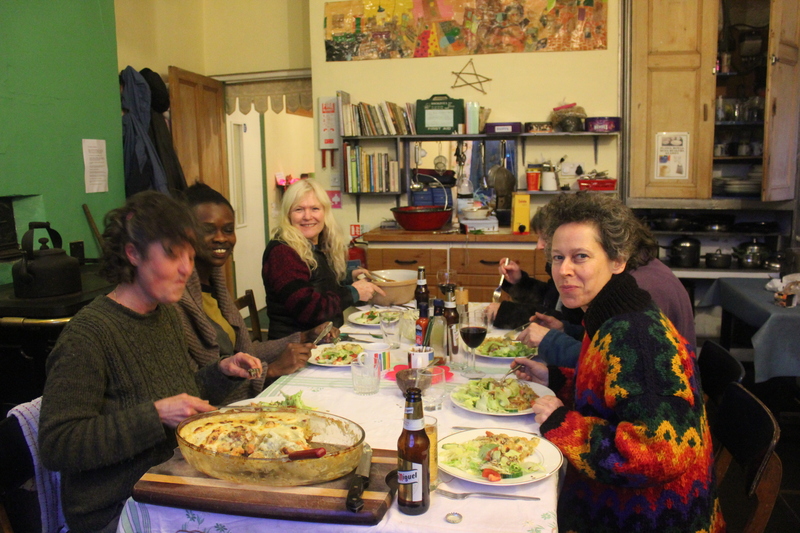 In contrast, the Women’s Holiday Centre provides a uniquely supportive and laid-back environment, where women staying often socialise, cook and share meals together. Sharing the cooking and the eating! The Women’s Holiday Centre is for all women, with or without children, on their own, or with friends. Women from all walks of life are welcome and visit regularly. The house offers a safe and friendly environment, where women and children can feel at home and get to know each other. Items such as towels, toiletries, and both adult and children’s spare coats/hats/gloves/wellies etc. are kept at the house so that those using public transport have less to carry. The part B&B, part hostel style accommodation consists of a mix of private and shared bedrooms, plus two sitting rooms, a large playroom, large kitchen and garden. There is a very relaxed and informal self-catering arrangement, with vegetarian and vegan food provided. During mid-week term-times, the house can offer a quiet place that can be ideal for women recovering from various illnesses or stresses. Disabled access is very basic at the moment, and we are hoping to raise funds for substantial alterations to improve this. In the meantime, we are committed to making smaller changes to improve access. Please contact us with any ideas or feedback, or to discuss any particular requirements. If you’d like to know more about what is happening here and how you can get involved, contact us for our newsletter! This is sent out by email approximately once per month and contains details of all the exciting goings on at The Women’s Holiday Centre! Privacy Notice: Horton WHC will not harvest details from any other organisations or share/pass on/sell your details to anyone else. Any details you give us will only be used for the purposes stated, and you can email us to ask for them to be deleted at any time. I’ve had a lovely weekend in this fabulous house, which is really welcoming and friendly with incredible views. I always love my stay at the WHC, have bought other people here (clients) from (BWA) and would recommend WHC. This time I came with friends and really loved being here. We have had a wonderful cosy time as usual. The bed and bedding were fantastic. Thank – you. I had a very enjoyable stay. As a young LGBTQ+ person it is awesome that I have older people leading the way. Great as usual. Welcoming, easy going and comfortable. Warm and welcoming as always. HWC is a very special place. Lovely place to retreat and have a few days away from day to day work! It feels like a second home. Love the communal feel and everybody is friendly, helpful and responsible. I feel safe here and in good hands. Wonderful weekend – very relaxed and friendly with added benefit of massage and relaxing therapies. House was warm and workers greeted me in a friendly and welcoming manner. A lovely stay. The house is looking very clean and tidy with good labelling to help us all work together. Both the environment and the workers were very welcoming for a relaxed weekend. I was particularly thankful for the inclusive attitude of the workers, who invited me to participate in activities and helping around the house, cooking and evening activities. It was lovely spending my last night doing a jigsaw with the workers and a volunteer. Coming alone to the WHC is great as you never feel alone. There’s always people around and activities to do, but it’s ok to spend time alone if that’s what you want. I’d like to do volunteering – but not heavy lifting, I’m particularly interested in the project re the history of WHC . A house that soon feels like home thanks to the combined efforts of all the women present, past and future! Lovely place to stay, very nurturing, good vibes, beautiful setting, had some lovely days walking in the countryside. Lovely, welcoming, relaxed homely atmosphere. Very pleasant mini-break in good company. Warm comfortable room. Delightful countryside and no problem getting here by train and a short walk from Horton station. A wonderful, beautiful, friendly communal place, an opportunity for women on low incomes to have precious rest and recuperation. Absolutely amazing stay. The worker was so approachable and accommodating. It is a stunning location and felt at home immediately. Loved it! Thank you. Absolutely brilliant place for people with chronic pain. Lovely calm space to just ‘be’, welcoming and friendly people. It was good to feel it was ok to take space on my own and mix when felt comfortable. Felt I learned about myself in the process. Love coming here!! Long may it last. Always nice to come to Horton and refresh, meet other interesting women and socialise. AMAZING! The place is a gem! An absolutely fantastic stay with family and a friend. Made to feel very welcome. Beautiful staff members that engaged & took time out – on occasion reading, dancing & chatting to my children. Loves the whole ethos of the place & how it is run. As always it feels like I’ve come home. I love this house, it has a peaceful soul. The workers are excellent. Thanks to the worker for being a great host, super friendly and a laugh. Was fantastic, lovely set of women, very relaxing. Women running it are very friendly and welcoming. Great stay, great staff. 6th visit, will be returning. I brought my daughter (13) for her 1st visit and we had a lovely time. The house was really clean and tidy. The workers are really nice and we enjoyed it. Enjoyed my stay. Loved the books. Looking forward to returning. Every time I come I feel renewed and nurtured by the spirit of the house and the women in it. I love it, thank you to all who keep it going. Fantastic place to bring the children very relaxed and friendly perfect location, some places have a special kind of magic about them and this is one of those places. Fantastic time and space. Even better to have ended up with the crochet ladies. I learnt a new skill. For me it is a sense of safety and freedom of action that I find here that is a refuge and an opportunity for some restoration of my spirit. ‘Thank you’ is insufficient to express my gratitude. Great first visit! Very welcoming and friendly and will definitely visit again! Had a fantastic time. Great location and homely feel. Great value for money. Lovely workers. Has helped me feel calmer and more relaxed, a great atmosphere and lovely old house. Everyone is so friendly and kind, thank you. I arrived worn out after driving from Southport without the postcode of the house and only Settle coded into my sat nav. Big mistake on my part. On coming through the door there was a great feeling of home. The worker had been waiting and the kettle was on! I love this house! it is a huge part of my childhood and it is a lovely place to stay. I have enjoyed the relaxed atmosphere and found it inspiring to be in a group environment with only women. Much love. I loved it here, everyone is so friendly and welcoming. I automatically felt like part of a family. Nice and hospitable staff, interesting events, wonderful atmosphere to relax and let the everyday stress go away. Everyone has been so welcoming and friendly, I immediately felt at home. It is a unique place in beautiful countryside which provides comfortable, friendly accommodation. I’ve had a lovely time here and will come back. Thank you so much to the worker for all your help, we’ve had an amazing time, long live the WHC. It was great! lovely and cosy room, great atmosphere. Super happy! It was really nice to share a communal space again. Its a lovely and calm home away from home. I came here to escape from my life for one night! Just lovely. Welcoming. Relaxed. Abundant. Generous. Love being here – such a relaxed and nurturing environment where I feel safe. Loved it, very peaceful, great ethos and way of managing the space, keep up the excellent work. Lovely, welcoming, fun, well resourced – great that there were spare wellies, rucksack, towels etc. My daughter and I have had much needed time together in a peaceful, relaxed and cozy environment. Thank you very much. Our stay was perfect, relaxing and welcoming. Peaceful and pleasant as usual, friendly staff and fellow visitors. Enjoyable stay again. Really enjoyed staying absolutely worthwhile, lucky to find the other women really grounding + friendly. Really lovely place. Relaxing vibes. Cosy like a house. Relaxed warm friendly place. Great atmosphere, feel safe and good company. Relaxing space. Safe and friendly. No pressure. Everything you need is here. Part of a community. Thanks so much!! The worker made me feel very welcome and I enjoyed having a good natter. It is a brilliant place with a lovely atmosphere. Also well equipped. Really appreciate the existence of an affordable accessible women only holiday centre. Such a lovely place to stay, welcoming and safe. A great idea. Such a welcoming, relaxing, safe environment. Thank you and just what I needed. Horton WHC remains a wonderful place. Really enjoyed staying here – relaxed – chilled atmosphere in beautiful surroundings. Such a wonderful, friendly place to stay, my daughter (14) and I have loved staying here. A great place for mother-daughter bonding. A welcoming, warm, friendly and creative environment – it’s been a nurturing weekend. Thanks to the workers for a lovely peaceful stay, exactly what I needed! Am leaving feeling refreshed & relaxed. The house has a really special atmosphere – safe and exciting. The staff are always approachable and friendly. The group workshops are brilliant. Love this place. The reason I’ve kept coming back is the warm, welcoming atmosphere and the easy-going way of the house and all the women I’ve met over the years here. V welcoming & cosy. I don’t see well at night, so stair light was v welcome. Very relaxed, light hearted stay so cosy and warm. Wonderful workers. Very warming, homely and cosy. We felt comfortable, enjoyed the company and linked the way the house operates. We will definitely come back again, good escape from the city. Warm & welcoming – lovely staff and a really special place. We enjoyed stay, loved the company of other house guests. My daughter made friends and was kept nice and busy playing with them. We had a fantastic stay, loved how family friendly and accepting it was. What a fantastic place – it’s been the perfect place to celebrate my birthday. What a lovely place and people – a gem of a find. First visit of many. What a special place, thanks for the space. Wonderful, welcoming, safe, beautiful place to stay. Thank you. Can YOU help promote this amazing unique space? We have had two wonderful volunteers from Bradford and Brighouse who have helped to publicise the centre around Bradford and the district by sending out and hand delivering leaflets, visiting women’s groups in the local area and visiting community centres, schools and daycare centres. If you know of anywhere in your local area who would benefit from staying at the women’s holiday centre, please contact us for leaflets, our YouTube promotional video and our power point presentation so you can pass on this information either via post or in person. If you have to travel to get to a particular group, we can reimburse your travel expenses. I really hope some of you take up this amazing opportunity! I often come here for a lovely stay in exchange for some work, as it helps the centre tremendously. Please pass this information on to anyone who might be interested. Thank you! Is there somewhere you could put up a poster or some leaflets for Horton? For leaflets please send a stamped, addressed envelope to the centre, or email us if you are unable to do this. With our limited budget, it’s always difficult to reach new women, so we rely on your help to spread the word about this amazing, unique space. Please help spread the word by sharing comments and photos of your visit on our facebook page, or by sharing our facebook page to your friends and family. You could also tweet about us! The house has gone ECO friendly! 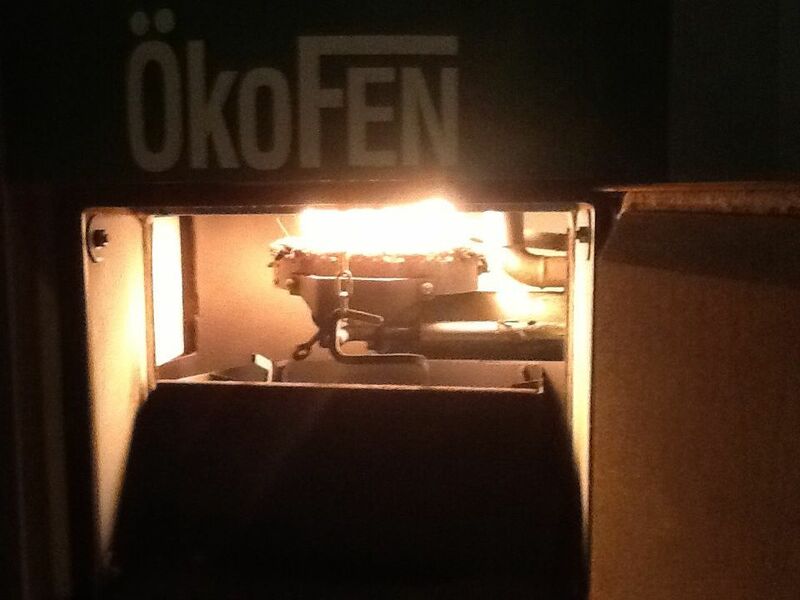 Our new and amazing Biomass Carbon-neutral boiler! The WHC is now being heated by a carbon-neutral expensive, biomass boiler, but it will be well worth it in the long-run! Like all good Horton stories, a bit of a crisis was uprooted when our beautiful Aga died. For years she served the house faithfully, never taking a day off sick and always trying to meet the warm expectations of the guests. Although women volunteered their time and love to fix her, in March 2013 she came to an abrupt halt. This time, no amount of love or TLC could bring her back to life. Thanks to a lot of help from women, the co-operative and management commitment, we managed to get ourselves back to being nice and toasty with a beautiful, carbon-neutral boiler, properly heating the entire house. We considered all forms of heating. There’s no gas to the property, so that was near impossible. The people in the village who use oil are currently trying to change as it’s so expensive. Other options would have involved putting a more substantial power supply to the house, for example solar panels, etc. However, nothing seemed as perfect as a Biomass boiler, and we needed to get something quick, before the winter months approached and the cold seeped into the house! We eventually decided that in the long run this boiler would be most efficient and long-lasting, supplying us with enough heat. It is now installed and in use, we have warm, nay – hot – radiators and hot water heated by this wonderful machine. The house is now toasty, so please help spread the word! 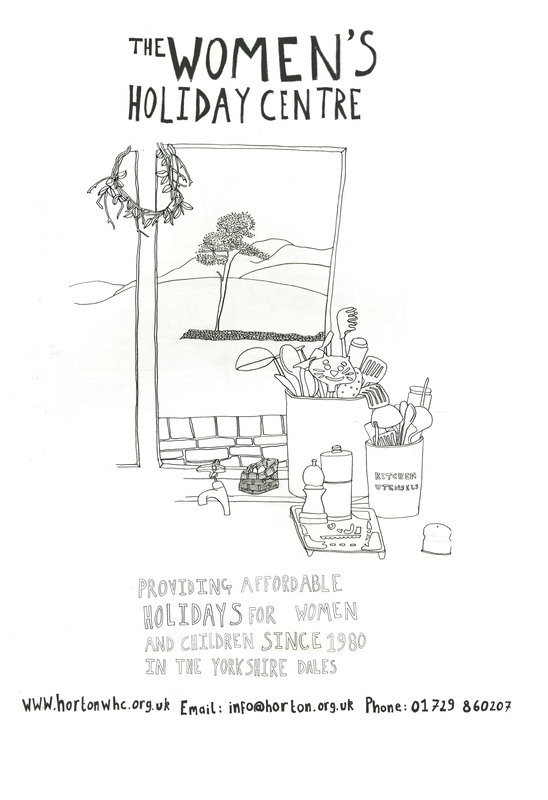 Donate to The Women’s Holiday Centre now! I stayed at the centre many years ago ..with my daughters ..i was having some issues in my life. My stay at the centre helped me to focus and decide what to do. The environment is relaxing ,welcoming and the scenery is fantastic. The centre will always hold a special place in my heart. I hope to return one day. I came with a group of women and we had a reading weekend where we read to each other and talked about what we read, interspersed of course with walking. It was brilliant! Such a beautiful place, and lots of positive vibes seeping out of the walls from all those woman who have stayed over the years. it was simply great! had spend a weekend there! and i could feel my life coming back on track! was happier, joyful and lot more relaxed. maybe its the fact that we are living there as a community with other woman that makes it so special! Amazing place, in beautiful surroundings. Great place to get away from it all & back to nature, whilst the kids have fun too! I have had some wonderful holidays at the women’s centre and met some great women and children. I love the relaxed atmosphere and the children mixing having fun in the garden or park, beautiful walks and the countryside is amazing !! The women’s holiday centre is something special. Not only is it unique in what it offers i,e, a women only environment but it gives a warm welcome to all in a homely environment based on sharing and co-operation. If you have never been – you have to give it a go and I tell you this much – once you have been, you’re going to keep going back time after time after time. Tell your friends and family. Horton is an amazing place, just to watch the video brought back great memories. I brought my daughter here many times when she was young and she can still recount every time! I havent managed to get up for quite some time, but seeing the video made me realise that everyone needs some horton time and I will be making a visit soon. If you havent been then I urge you to do so, its just unique! I stayed at women’s holiday centre and really enjoyed it. I’ve also met some friends and wish to visit the place again this summer. It’s very affordable too. Do you take dogs? I have a well behaved dog I’d like to bring. We’re a midwifery group, (practising, retired, students). Each year, in September, we have a Retreat week together, self catering. Average attendance – between 15/20 persons, some for full week, others for a day or two. Could we book for a week, exclusive to our group? For a closed house booking, there is a minimum of 12 people staying, but if you are booking for a whole week with an average of 15-20, then that would be fine. We offer 3 nights for the price of 2 mid-week during term-time too, so you would get a free night included in your stay. It’s best to email the house on info@hortonwhc.org.uk or phone on 01729 860207 to confirm dates as soon as you can. Hi just passed your centre today, would love to come with our women’s walking group sometime. Is it possible to book whole house for a weekend? There are usually 10 to 15 of us, generally in march or September, what would it cost? Yes, you could book the whole House for a weekend, as long as it’s outside the school holidays. You’d need a minimum of 12 people and the minimum cost is £180 per night (which is also the required deposit) but the cost depends on 1) whether your group is funded or unfunded; 2) how many women come; 3) the income of each woman. We have a Sliding Scale for payments (which you can find under ‘Prices’ on this website) and that still applies. If you’d like to give us a call we’d be very happy to answer any questions and could work out the exact cost with you, if that would help. Our number is 01729 860207. Thank you for letting us know, Penny. Hi. I might be interested in booking a possible closed house next year. Do you currently have any free weekends for March or April? 2017? Hi Alison, thanks for your message. Yes, we have the weekends of 17th/18th March and 25th/26th March. If you would like to book please do call us on 01729 860207 or email info@hortonwhc.org.uk. Hi Sharlene I’m going to send you an email, please look out for it! Hi, I would like to fundraise for this amazing charity. My friend told me about it and it looks like a very friendly and comfortable home, and I hope I can visit one day. I was thinking of doing a cake sale or something else when I have free time. Please could you tell me whether it would be ok to post the money in some sort of way, as I prefer not to do it online over paypal. You are doing great things ! Just back from another wonderful holiday at WHC. The house is looking so good and was comfy and cosy as ever. I had delightful company and much fun and laughter every day =great. Please can you send me a copy of your monthly newsletters. This place sounds amazing and thinking of booking for a couple of nights maybe next month. Would love to bring some leaflets back home with me and share them out to the women in the Lancaster area. Hi Carrieann, you are on the newsletter list now. Cam we help with a donation to be spent on sanitary pads and or tampons. Thank you. We would be happy to receive a donation for sanitary products. We always welcome donations and would gladly receive something towards sanitary wear. I replied when your message came, but it seems to have been eaten by the website! I stumbled across the details of this wonderful concept admittedly by chance. Since believe it was fate!! What a wonderful idea and resorce. Restored my faith in humanity and only reaffirmed how amazing women are!! I telephoned for a bed on the off chance and Amy was very informative, supportive and well humoured making the journey exciting to arrive. To then arrive and be greeted with such care at the late hour in the dark was heartwarming. I stayed as did the 3 peaks challege for charity and it was exceptionally difficult. The ladies in this residence went over and above to assist me upon return and I can not thank them enough. Laura even managed to jump start my car for me to enable me to leave…. had she not I’d have willingly stayed. Shall definitely return again and shall take my children as I feel it’s a warm, exciting and educational place to stay. Thank you for the opportunity to embrace such hospitality and experience. You will need to email the management committee for an application pack, their contact email is on the website. Please ring the house if you want to book a visit or discuss any volunteering opportunities.